Rain gutter installed with T-Rex continuous hanger. 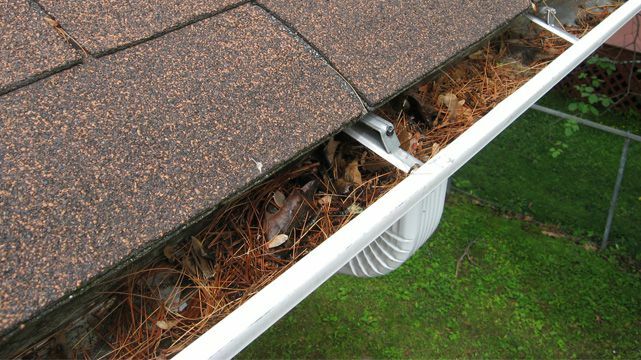 There are several ways to install gutters, the method you choose will affect the gutter’s strength and protection. For many decades, gutters have been installed using spikes (nails). The only advantage to choosing this basic method is its low price and it is, therefore, becoming less and less common. Rain gutter installed with spikes. Also very popular across Canada, the standard hanger provides a slightly more secure gutter installation than nails, while also being totally invisible from the ground. Only a little more expensive than spikes, many industry professionals offer hangers as their basic option, instead. Rain gutter installed with hangers. Whether you install your gutters yourself or hire a professional, the ZIP hanger is the perfect option to simplify the task. Performing the same functions as a standard hanger, it offers the advantage of having an attached screw, rendering the gutter installation process much easier. Rain gutter installed with screw-on hangers. The T-Rex continuous hanger fastens gutters more than three times as securely as the standard hanger, and protects gutters against leaves and debris. Indeed, it is, at once, a fastening system and a gutter protection system. 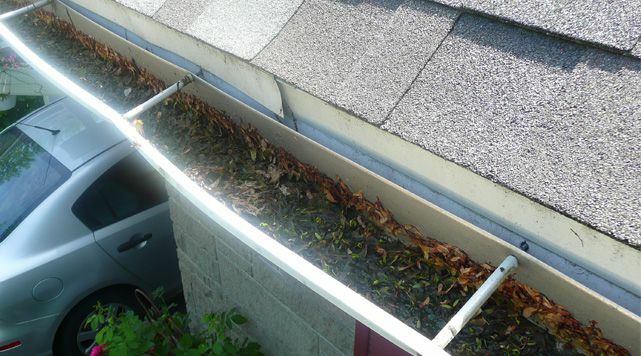 The T-Rex continuous hanger, therefore, prevents leaves from entering the gutter and creating obstructions which cause water infiltration by completely covering the gutter. At the same time, numerous holes in the continuous T-Rex hanger offer the perfect balance between effective water drainage and protection against debris. Additionally, in winter, snow and ice remain on top of the T-Rex, thus preventing gutter deformation during warm spells, while still letting water circulate through the gutter year-round. With its hassle-free warranty, the continuous T-Rex hanger also offers you the peace of mind of an effective product. Rain gutter installed with T-Rex XL. 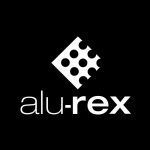 For an ultra-strong and extremely durable installation, the T-Rex XL is the product for you! With all the advantages of the T-Rex continuous hanger, the T-Rex XL also provides increased gutter strength. Specially designed for facilities requiring a more robust gutter, such as steep roofs, sheet metal roofs or pronounced valleys, it also helps prevent the appearance of ugly tiger stripes in front of the gutter. Armed with the best warranty on the market, the T-Rex XL promises you that your gutters will not clog, for life!